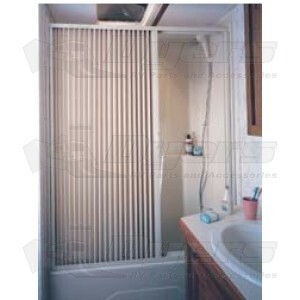 Waterproof, 3-ply pleated shower doors are mold and mildew resistant. Ultra-smooth glide system. very QUICK SERVICE, PRODUCT ARRIVED IN GOOD SHAPE, WILL DEFINATELY USE DYERS AGAIN!